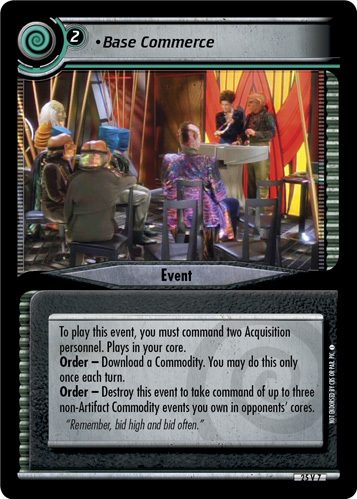 To play this event, you must command two Acquisition personnel. Plays in your core. Order - Download a Commodity. You may do this only once each turn. 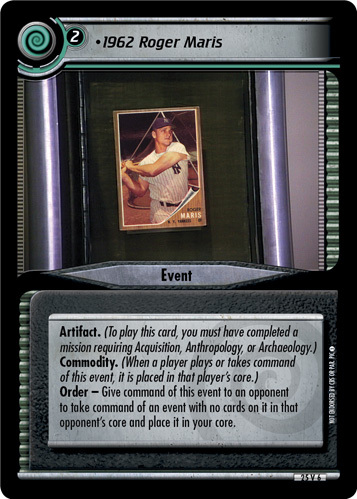 Order - Destroy this event to take command of up to three non-Artifact Commodity events you own in opponent's cores. "Remember, bid high and bid often." 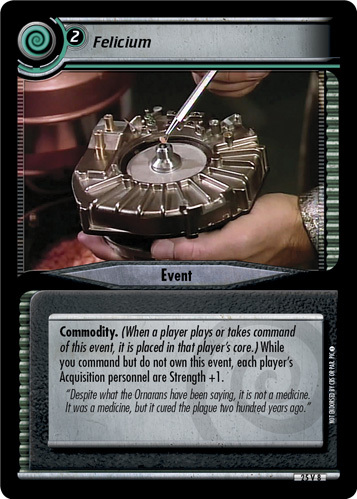 Image Source: Deep Space Nine: "Q-Less"